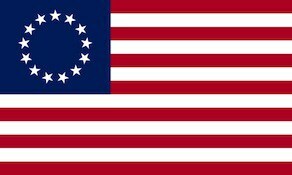 The Bucks of America was a patriot Massachusetts military company during the American Revolutionary War that was composed of African American soldiers. Little evidence survives about the unit. On the local level, states made independent decisions about the enlistment of African Americans. Massachusetts continued to accept black soldiers in its integrated militia units. It was also one of several northern states to create a segregated unit of black soldiers. Blacks and abolitionists generally disapproved of the creation of segregated units, preferring integrated units. The Bucks of America, organized in Boston, was the name given to the all-black Massachusetts company. Little is known of the campaign history of the company, but it seems to have operated in the Boston area. It may have acted primarily as an auxiliary police or security service in the city during the war, and is not believed to have seen action against British soldiers. The dates when the Bucks were formed and disbanded are unknown. The company was celebrated in Boston after the American Revolution ended. Governor John Hancock and his son, John George Washington Hancock, presented the company with a white silk flag, featuring a leaping buck and a pine tree, the symbol of New England. The original flag is held by the Massachusetts Historical Society. It is believed to have been made in Boston and presented about 1789 to the military company. A medallion was also made for the military group to commemorate their service. It is a silver planchet (55 mm x 48 mm) of thirteen stars above a buck.